The Quietus | News | Coldplay To Release Fifth Album In 2009? Coldplay To Release Fifth Album In 2009? 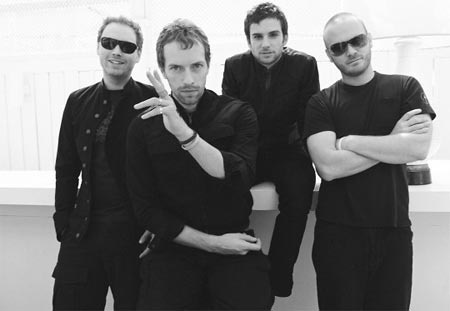 Rumours from EMI are suggesting that Coldplay are planning to release a second studio album early in 2009. A source from the label was full of beans, "The Viva La Vida sessions were incredibly fruitful," they enthused. "They gelled brilliantly with Brian [Eno] and recorded much more music than they could fit on one album." “The majority of the follow-up is already in the can, though they will have to go back into the studio at some point to add a few more songs. "The majority of the follow-up is already in the can, though they will have to go back into the studio at some point to add a few more songs," the '''source''' told The Sun. But could any new record be part of a plan on Coldplay's part to join the stream of artists leaving EMI following the takeover by Guy Hands and Terra Firma, experts in delivering German Ginsters along the autobahn. "Standard industry contracts tend to be for six albums, so if they provide some kind of compilation after their next album they will be free agents and able to renegotiate their contract or head out on their own," the source said.